Lower George Roger's Park, lawn in front of iron furnace. Description B & W scan of a sepia photo; photo was also scanned in color; see 1532b. 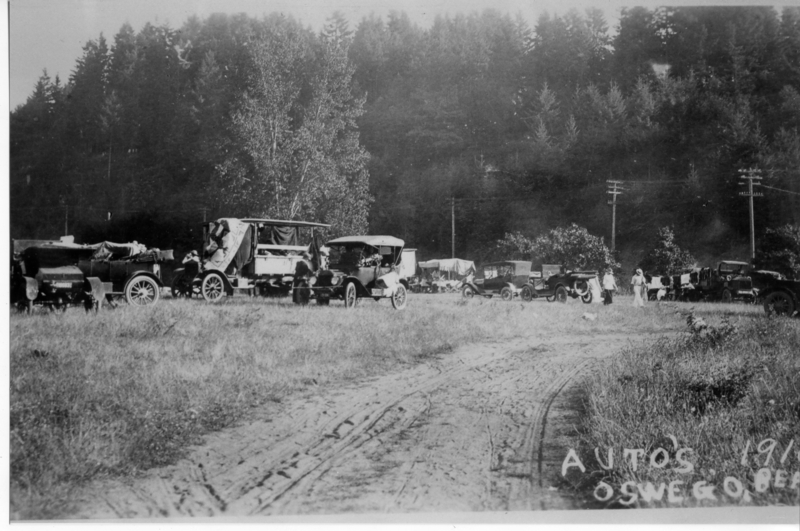 [printed on photo]: Autos, 191?, Oswego, bea[ch]. Transcription Lower George Roger's Park, lawn in front of iron furnace. Physical Description H 6"" x W 9""